Central Washington County WSC is pleased to announce that it has a new administrative office facility. 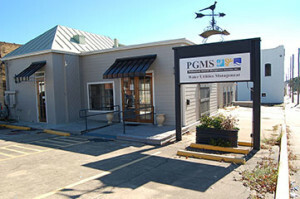 The office was recently opened by Professional General Management Services, Inc. (“PGMS”) and is located downtown Brenham at 201 South Market Street. Initially, the office will aid in the day to day water operations. Bill payments and membership applications will continue to be handled by the Dripping Springs office until further notice. Since 2005, PGMS has provided the WSC with an array of professional services to include management, billing and collections, bookkeeping, operations, maintenance and customer support services. If we may assist you in any way, please contact our office by calling (866) 643-3472.